Add character to your staircase or balcony. 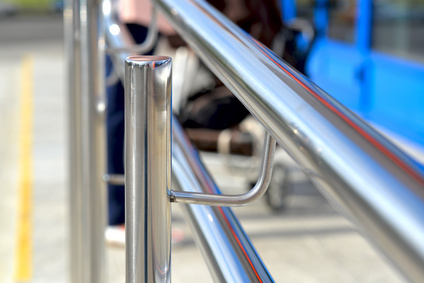 NJ Steel Solutions in Surrey can design and install steel balustrades in stainless steel, mild steel, galvanized or wrought iron steel that can be powder coated in various colours to compliment your home or commercial premises. We work alongside interior designers providing the finishing touches to a modern, contemporary or traditional environment with the correct ergonomics and meeting current regulations. Steel balustrades are a great, low maintenance solution for commercial premises on staircases for shopping centres, hotels and communal areas in residential blocks of flats and balcony areas. The systems we install can be completed with toughened glass and a range of balustrade fittings and accessories. NJ Steel Solutions can work with you or your design team or you can choose our own fabrication and design team to create and install the perfect steel balustrades that will enhance your property. Steel Balustrades offer more than just functionality and safety – they can be an expression of art and craftsmanship to compliment any staircase. With finishes in period wrought iron or modern stainless steel NJ Steel Solutions can help make that statement transforming your staircase. Contact NJ Steel Solutions for more information about fitting balustrades to your stairs or balcony.